Information Gathering Satellites are Japan’s primary intelligence satellites operated to deliver reconnaissance for the military and intelligence services in the form of optical imagery and high-resolution radar data. IGS satellites carry an optical reconnaissance payload or a Synthetic Aperture Radar for remote sensing. The main purpose of the satellite program is to provide an early warning capability of missile launches. IGS was initiated in 1998 in response to a North Korean missile test that flew over Japan. 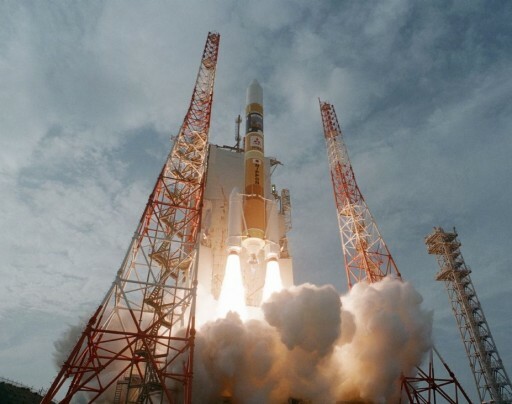 The first pair of IGS satellites was launched on March 28, 2003 atop an H-IIA 2024 rocket blasting off from the Tanegashima Space Center. IGS 1A was an optical satellite while 1B carried a radar payload. The two spacecraft entered a 486 by 491-Kilometer orbit at an inclination of 97.3 degrees and flew with a separation of about 37 minutes. In March 2007, IGS 1B stopped working, slowly heading for re-entry that occurred on July 26, 2012. IGS 1A has been in a stable orbit until early 2012 when it started dropping, indicating that the spacecraft had depleted its fuel tanks or stopped functioning. It decayed in July 2014. The second IGS launch in November 2003 ended in failure and never arrived in orbit when a Solid Rocket Booster failed to separate from the H-IIA rocket. 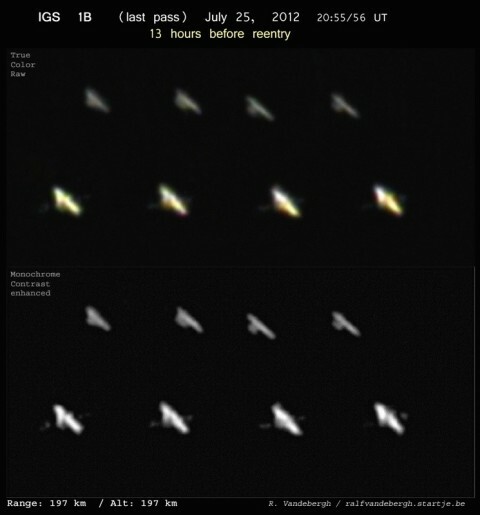 The IGS 1 and IGS 2 satellites were first generation spacecraft achieving a ground resolution for optical images of 5 meters (color) and about 1 meter (panchromatic). Synthetic Aperture Radar resolution is believed to be better than 3 meters. IGS 3A was launched by H-IIA in September 2006 and represented the second generation of optical satellites that achieve a resolution of one meter. 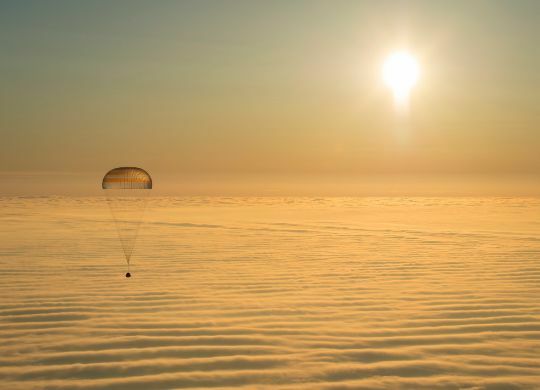 The satellite operated from an orbit of 480 Kilometers. The IGS 4 satellite pair launched in February 2007 and included an experimental third generation optical satellite with a ground resolution of better than one meter, and a second generation SAR spacecraft also achieving a resolution of one meter. The satellites were found in an orbit of 481 to 494 Kilometers that they maintained until 2010. In the summer months of 2010, IGS 4B became non-operational for reasons that were not disclosed – it re-entered in November 2013. When satellite 4A stopped functioning is unclear, but orbital data suggests a loss of orbit control between mid-2010 to mid-2011 leading up to re-entry in April 2014. IGS 5A is another optical satellite of the third generation launched in late 2009 and found in an orbit of about 585 Kilometers. In September 2011, the first fourth generation optical satellite was launched that is believed to achieve image resolutions of about 60 centimeters, operating in an orbit similar to that of IGS 5A. The first satellite in the third generation of SAR spacecraft was launched in December 2011 and operates from a 510-Kilometer orbit. Another dual-IGS launch occurred in January 2013 when an H-IIA202 rocket delivered IGS 8A and 8B into an orbit of 513 Kilometers. The 8A satellite is a 3rd generation SAR spacecraft and 8B a 5th generation optical satellite that returns imagery at resolutions of under 50 centimeters The. 8A satellite remains in its 513-Kilometer orbit while 8B has entered a lower orbit at an altitude of 427 Kilometers. In January 2015, a satellite known as IGS Radar Spare (IGS 9A) entered orbit after a successful H-IIA launch, likely representing a 3rd generation satellite ordered as reserve for an earlier SAR satellite and being launched to be ready for the end of service of a SAR satellite, likely IGS 7. Because the IGS Satellites are military intelligence spacecraft, details on their design and operation are not provided. IGS spacecraft are built by Mitsubishi Electric, likely based on a commercial satellite bus. It is known that the spacecraft have a mass of about 1,000 to 1,400 Kilograms when launched in pairs and that power generation is accomplished by solar arrays. Satellites launched without a companion could be much heavier based on the payload capability of the H-IIA which can deliver up to four metric tons into an IGS-type orbit. Orbital data of IGS spacecraft is not provided regularly, but satellite trackers around the world have been keeping tabs on the constellation. The IGS Optical 5 Satellite is an operational fifth generation optical satellite that follows in the footsteps of IGS IGS 8B satellite that serves an experimental role to confirm the functionality of the optical payload, clearing the instruments for operational deployment. Resolution of the 5th generation of optical satellites is believed to be better than 50 centimeters possibly as high as 40 centimeters.